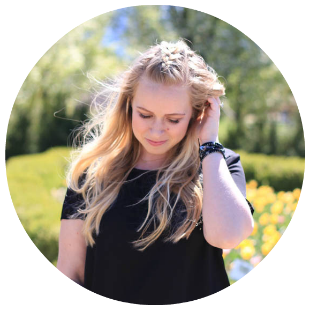 We've been in our new place for almost a year (crazy!) and Ryan has loved having his own office. 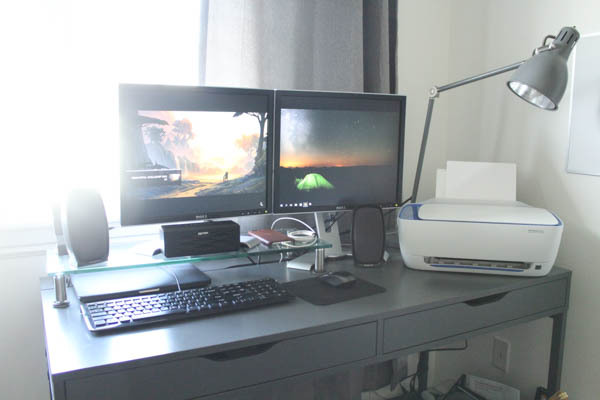 He has decked it out to fit all his needs as a business student at BYU, and the ALL NEW HP Deskjet 3636 Printer from Walmart is the perfect addition to his desk. 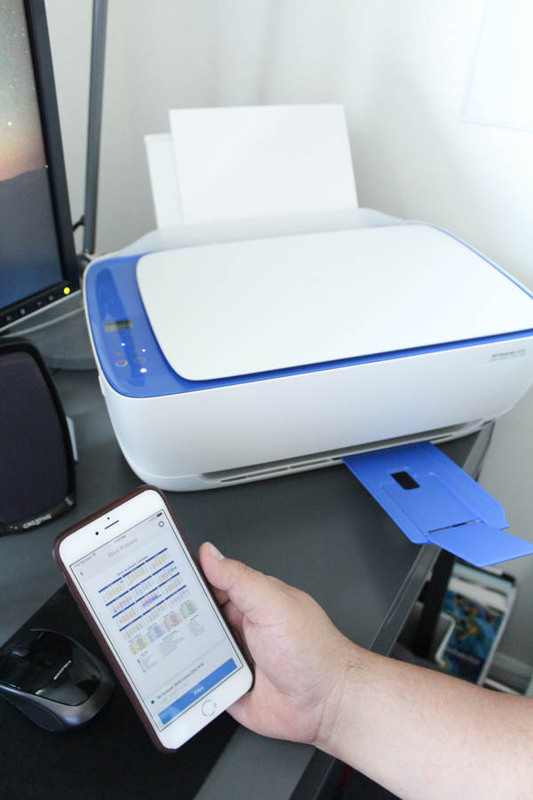 He previously would print all of his papers at the campus print center, but now he can take care of all his printing needs at home and not have to rush to campus early! Weirdly enough, Ryan is the organization obsessed person in our household. He enjoys finding a place for each and every item. While we are still in the process of organizing his office, it has come a long way! 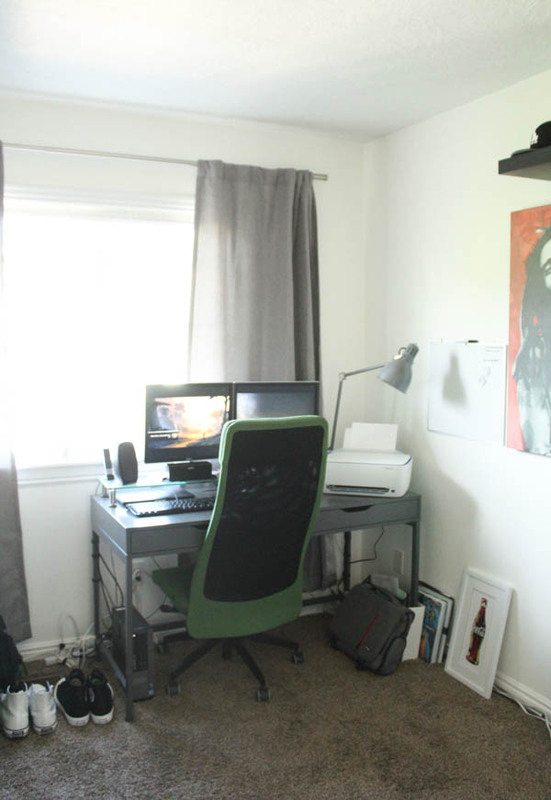 I'd love to share a few tips and tricks on how to organize your home office, for it to become the optimal place to study and focus for school. We hung a shelf to hold all of Ryan's hats, pictures of family, fun posters, and finally a whiteboard right next to his desk to jot down quick notes. 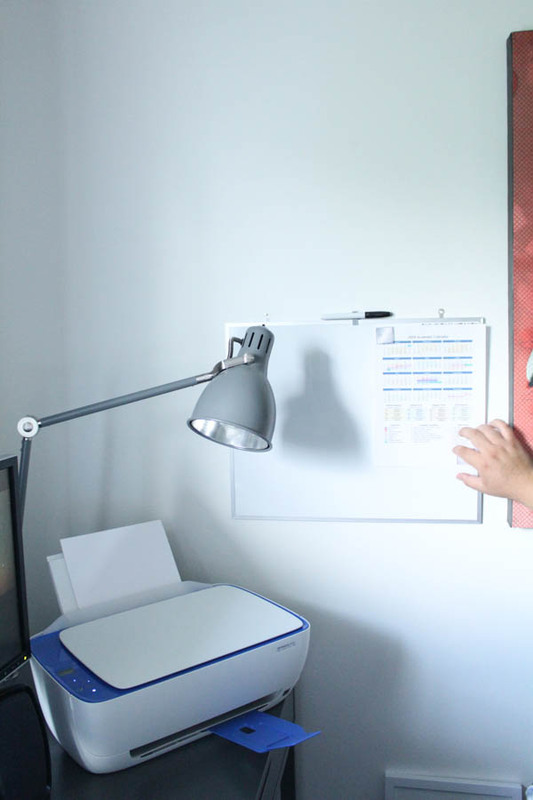 He brainstorms ideas on that whiteboard, and having it on the wall means it's not in the way, but is easily accessible. 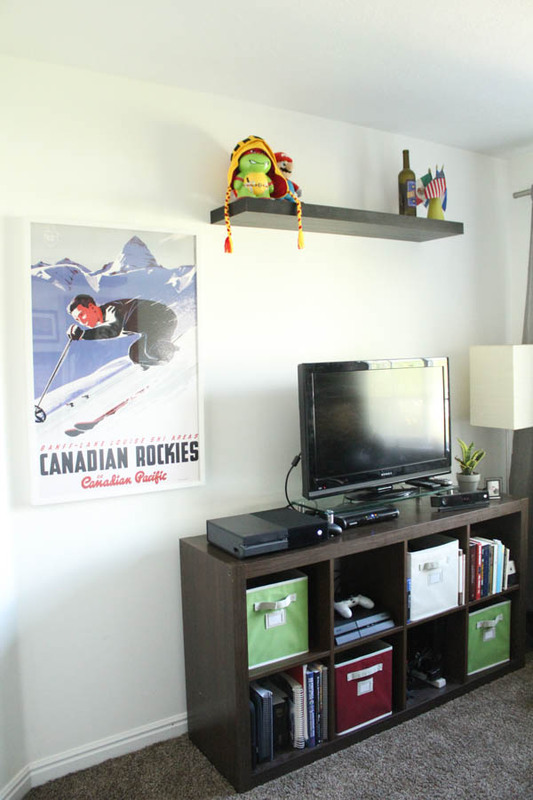 If you've got wall space, then use it! 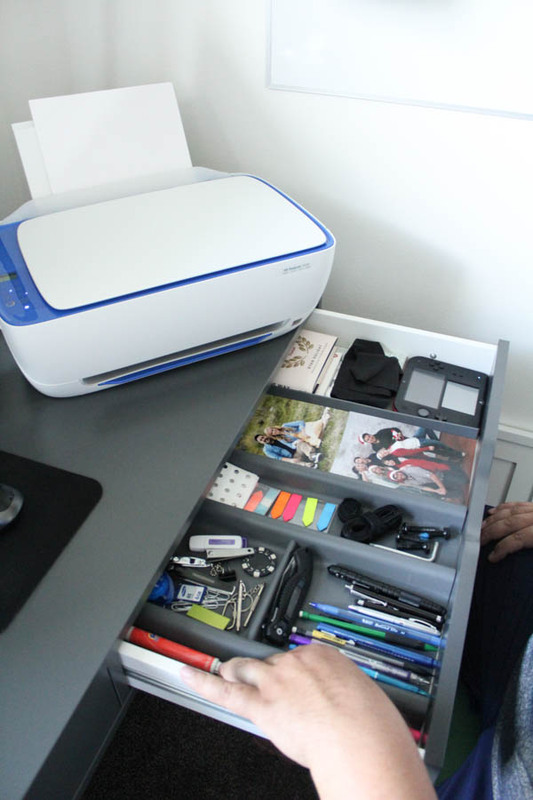 We picked up this organizer to streamline the system in his desk drawers. 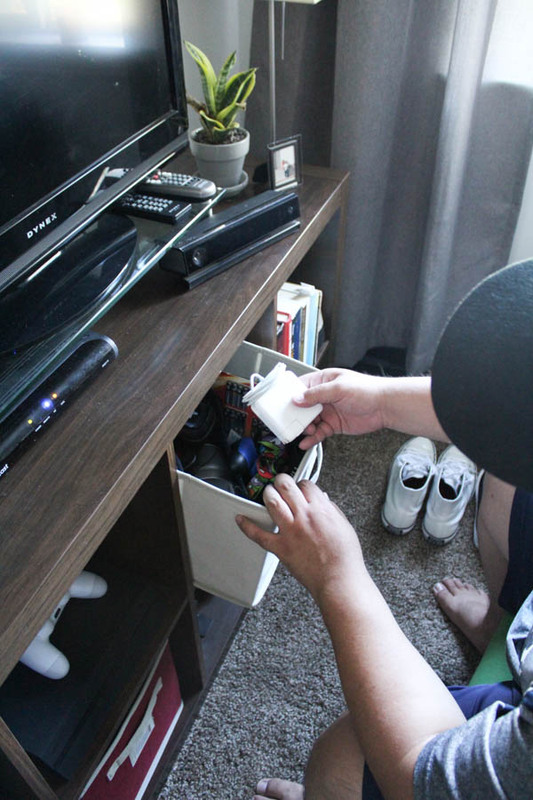 Ryan now has a specific compartment for each back-to-school necessity! Pencils, pens, highlighters, flags, note cards, and more. This makes the busy school days a bit easier when you know exactly where your tools are. We picked up these fabric boxes to further organize books and tech equipment. 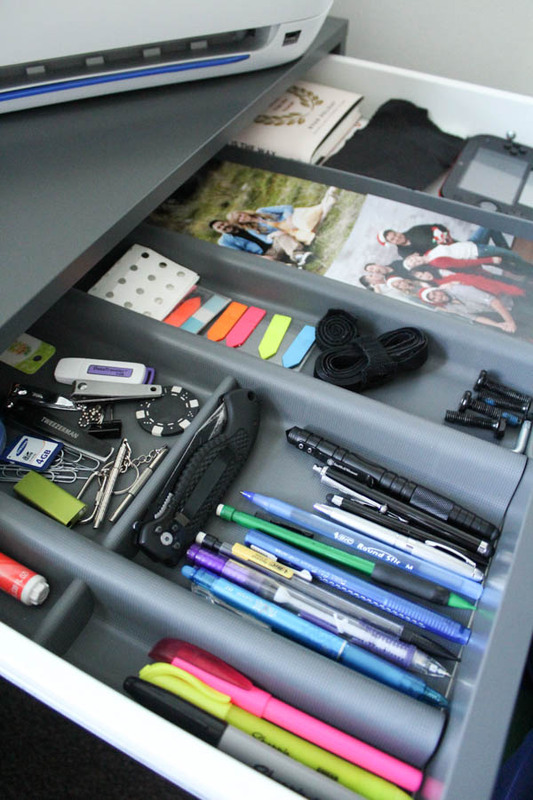 The fun colors bring the "pop" needed for the space, and it keeps chargers and other tech easily accessible! Boxes and baskets that are aesthetically pleasing are the best of both worlds; it serves as decor and organization. Add some life into your office space! 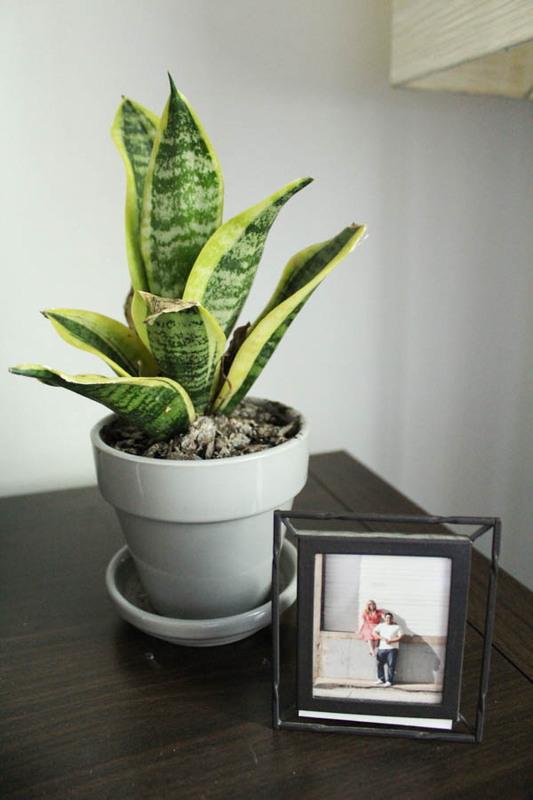 We picked up this mother-in-law's tongue plant then lit a candle on the windowsill, and the space felt so much more relaxing. School can be stressful, so we did our best to add items to the space that will help with de-stressing! 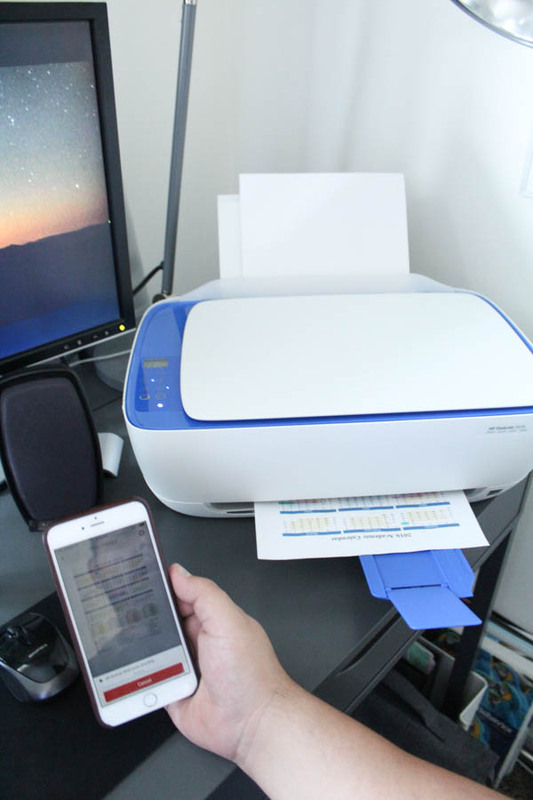 We picked up the HP Deskjet 3636 Printer from Walmart since it's an affordable all-in-one printer that not only hooks up to wifi, but we can use through our smartphone app. Say what?! 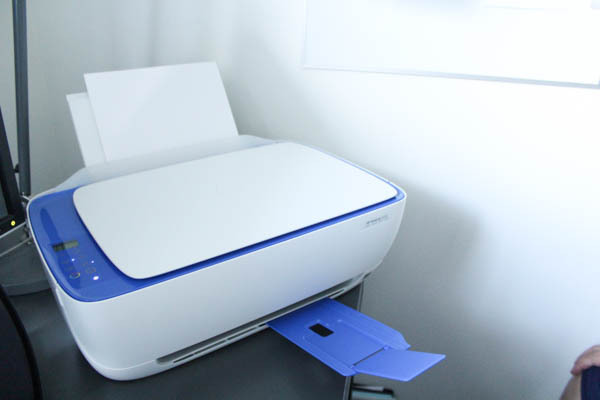 This makes our lives so much easier, since Ryan can now print any school related material from wherever he's at! 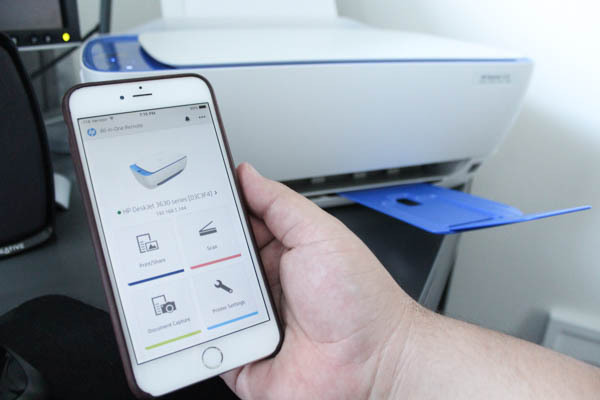 We chose the HP Deskjet 3636 in the fun Dragonfly Blue option, which works perfectly with the current color scheme we have in the office! When using the mobile app, it is a seamless experience. 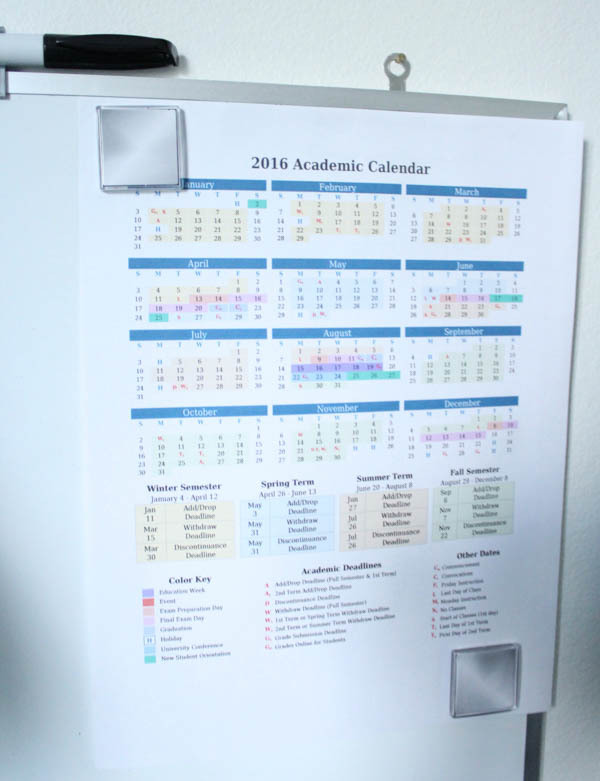 We printed up the upcoming BYU academic schedule to post on the wall as a reminder for important school-related dates. With a couple of buttons, we were printing our high-quality calendar in no time! The printer was nice and quiet with its optional 'quiet mode'. A great upgrade from our old noisy printer that we could hear throughout the entire house! 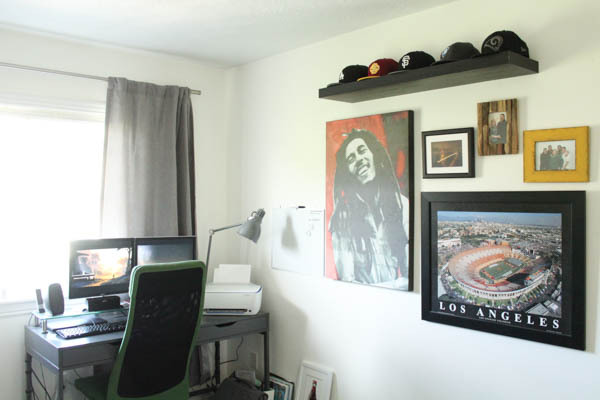 What organization tips do you have for a home office? 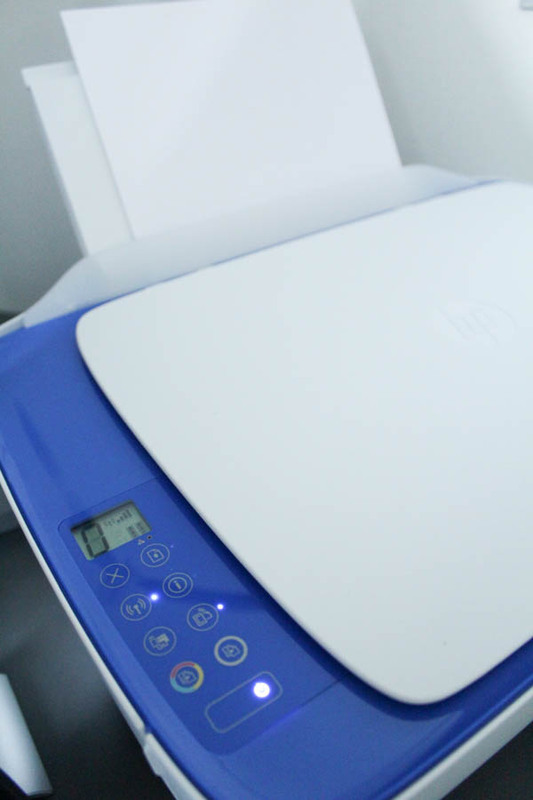 Would you pick Dragonfly Blue, Vibrant Red, or Sporty Purple for your HP Deskjet 3636 printer? Okay... that printer app is so cool! 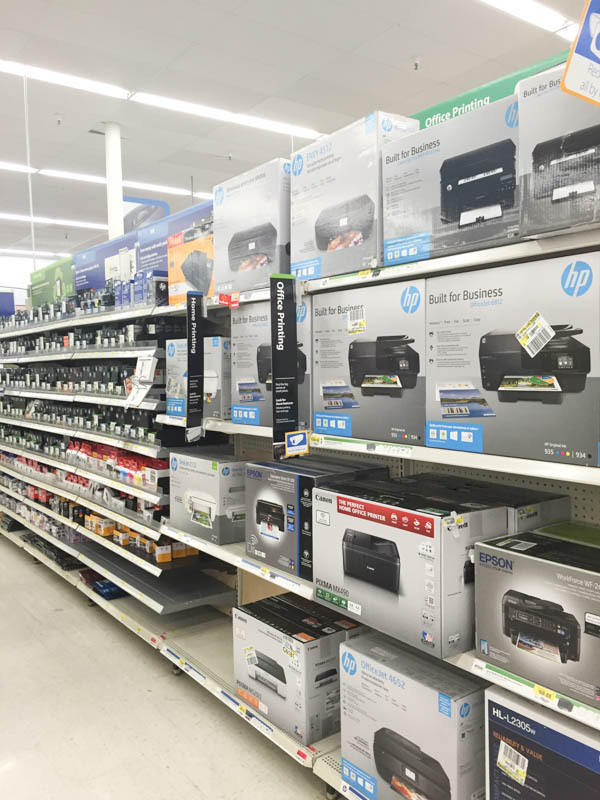 I have a wireless printer, but nothing as neat as that!